Indian born designer, Ashish presented a playful, dreamy and energetic SS16 collection which reflected the innocence of youth fused with two historic, West Coast subcultures. 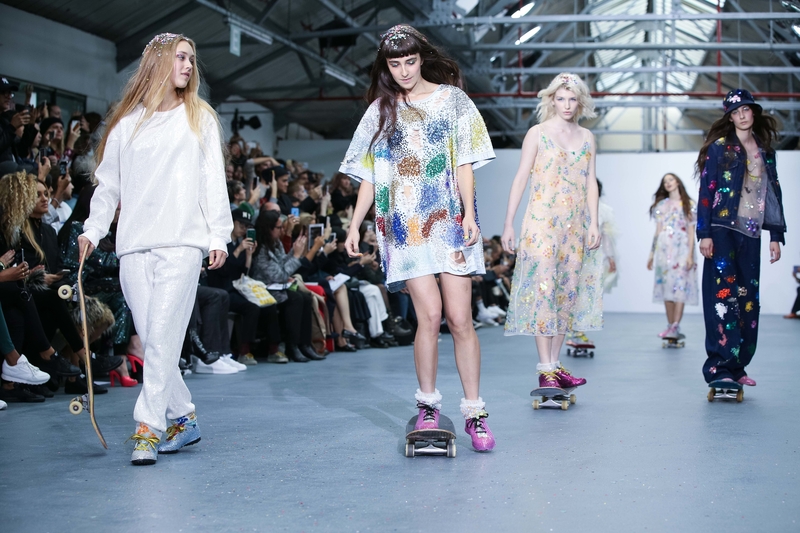 Models entered the runway on skateboards wearing dresses and trainers shimmering with sequins and glitter. Other looks evoked a mixture of the psychedelic sixties meets contemporary British festival culture – girls strutted along the catwalk in bucket hats and bell-bottom denim with heart-shapes intricately cut from the fabric. Silhouettes were sporty, feminine, and gender fluid. 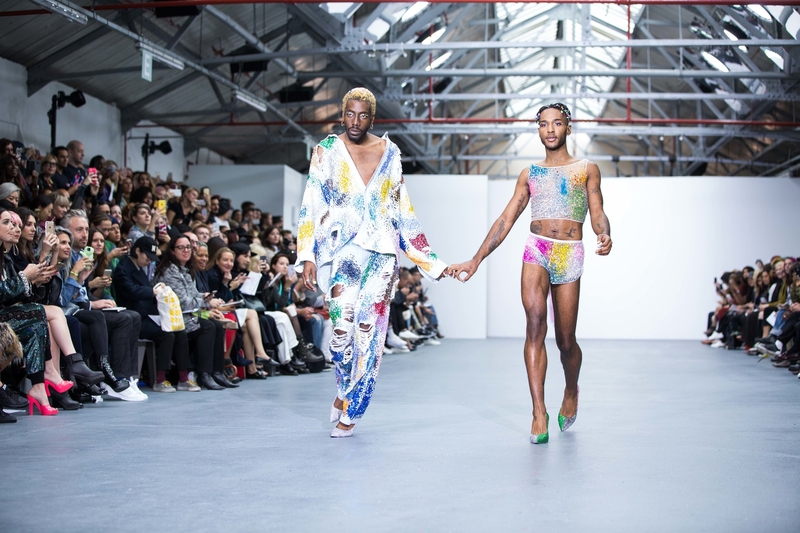 This could be seen when DJ Larry B and rapper Jay Boogie strolled down the catwalk wearing hot pants and sparkling crop tops rendering the show an all-encompassing affair. The collection marked Ashish’s ten year anniversary of showing at London Fashion Week.